While 6 percent of public school students in California are African-American (compared to 16 percent nationally), this average masks their concentration in a limited number of school districts. More than 20 California school districts have an African-American student population that is near or above the national average. In addition, 12 California school districts have an African-American student population that is more than one-fifth of their total enrollment. In terms of numbers (not percentages), California’s largest urban school districts serve the greatest numbers of African-American students. These school districts are in the largest five urban centers in California: Los Angeles, Long Beach-Santa Ana, San Francisco-Oakland, San Diego, Riverside-San Bernardino and Sacramento. Although these districts might not have the highest concentration of African-American students, all of them have a proportion that is above the state average of 6 percent, and for 14 of the 20, this percentage is more than twice the state average. Not only are African-American students more likely to grow up in poverty than their white peers, they are also much more likely to attend schools with higher poverty rates. Of the 373,000 African-American students in California, 64 percent (237,000) attend schools where more than half of the students are economically disadvantaged. 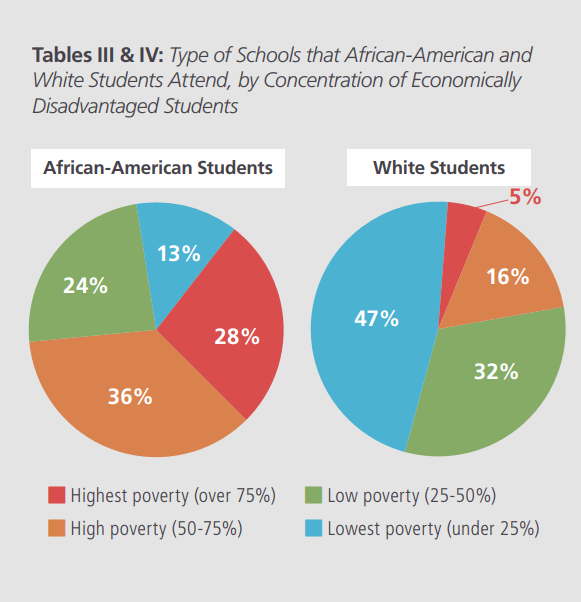 By comparison, only 21 percent of white students attend schools with such high levels of poverty. Looking at the schools with the highest levels of poverty in the state — those where more than three-fourths of students are economically disadvantaged — 28 percent of African-American students attend such high-poverty schools, compared to only 5 percent of their white peers. African-American students are also more likely to attend less ethnically diverse schools. When looking at schools based on their enrollment of nonwhite students, nearly three out of four African-American students attend schools that have a student enrollment that is more than 75 percent nonwhite. By comparison, less than one in five white students attend schools that are more than 75 percent nonwhite. There is often an overlap between the students who attend high-poverty and less ethnically diverse schools. For example, the vast majority of African-American students who attend high-poverty schools also attend schools that have a less diverse student population. A host of conditions has contributed to these gaps. 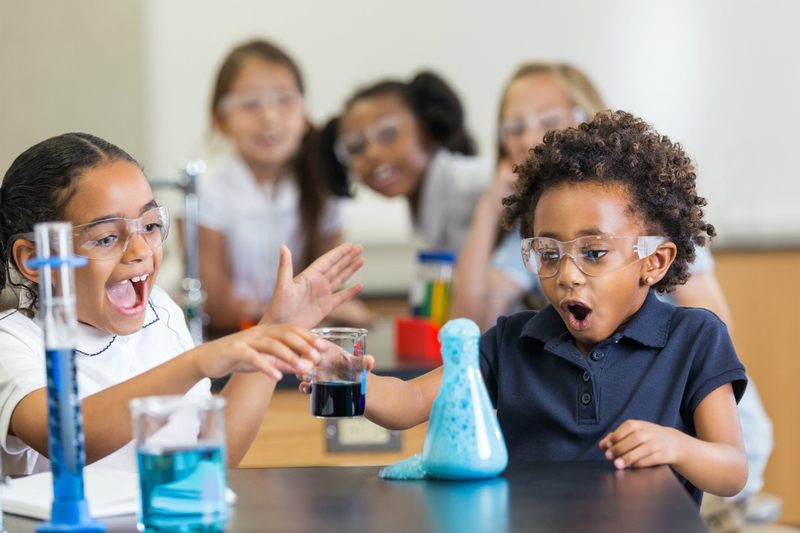 African-American students have more limited access to high-quality early childhood education, disproportionately attend schools where the majority of their peers are low-income, are more often taught by instructors who are less experienced or teaching outside of their credential field, and are more likely to live in high-poverty neighborhoods that have fewer public resources such as parks and libraries — resources that play a key role in educational success. For instance, Smarter Balanced Assessments show wide achievement gaps between African-American students and their peers. Across all grades and in both English language arts/literacy and mathematics, a lower proportion of these students met or exceeded standards than their Latino, white and Asian peers. While proficiency rates are lower for African-American students across all grades, 11th-grade scores are particularly notable. These are students nearing the end of their K-12 public education years who should be prepared for college, career and civic life. Unfortunately, only 14.6 percent of these students in 2017 met or exceeded standards in mathematics and 41.2 percent in English language arts/literacy. Moreover, these are the students who have persisted in school. Many others with the greatest challenges may have already dropped out.